The end of the year brings a rise in charitable giving from consumers and businesses alike. And small businesses are some of the most generous givers there are. In fact, 75% of small businesses donate to charities each year and nearly half (42%) give up to $1,000 to charities. 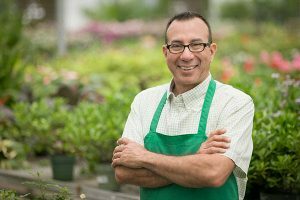 Before we get into how small businesses are giving back, let’s take a look at why it’s important. 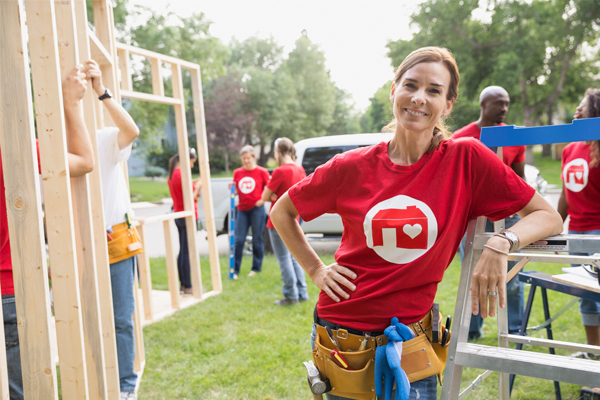 Giving back not only feels good, it also looks good for your business. 85% of consumers have a more positive image of a company that supports a cause they care about and 9 in 10 millenials will switch brands to one associated with a cause. As a small business, authentic philanthropy carries a great deal of weight in your local community. While true philanthropy doesn’t seek recognition, it can be a natural extension of your generosity and participation, increasing brand awareness, attracting prospective employees and bringing in new business. Consumers shop local because they feel strongly about supporting members of their communities. When you give back, especially to a local charity, you show your customers you care about your neighborhood too. Getting involved in local causes is also a great way to network and build relationships with other community leaders. 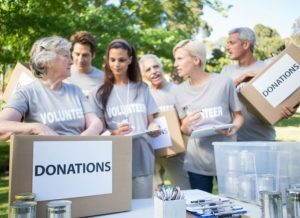 It’s no secret there are certain tax deductions available to businesses that make charitable contributions. For your donation to qualify, your chosen charity must be a 501(c)(3) organization. The IRS has an easy-to-use tool that enables you to look up a registered charity. Remember, you should always check with a tax consultant for the most current laws on tax deductions for charitable giving. Now that you know the why, it’s important to look at how your small business can get involved. Pick a cause that aligns with your business. For example, if you’re a pet groomer, pick a local animal shelter or rescue organization to give back to. If you own a restaurant, donate food to a local pantry or volunteer your time to serve dinner at a shelter. Be sure to ask your employees for their input too. If your customer base is local, your cause should be too. This will boost your brand awareness and build customer relationships. Your clients will feel stronger about the cause and more favorable about your business as a whole. If you do decide to donate to a national charity, consider partnering with a local affiliate. This way, you can still resonate with your local patrons while doing good. Once you’ve chosen your charity, it’s important to notify them of your plans. They may be able to provide you with collateral and suggestions for what’s worked well in the past. Don’t forget, you’ll need their permission for any branding or announcements you make to your customers. While most small businesses prefer to donate in cash, giving your time can be just as meaningful. Get a group of employees together for a volunteer effort. Sponsoring an event or donating products are also ways you can give back without cutting a check. Strengthen your efforts by getting your customers in on the cause. Donate a portion of a certain day or product’s proceeds to your charity. You can also set up a donation station in your storefront and offer customers a discount on their purchases with a donation made. Your customers will need to know about your efforts to participate so advertising is important. Start with a direct mail campaign a few weeks out and promote on your social media and website up until the day of your event. We’ve teamed up with Susan G. Komen® to turn our iconic Blue Envelope pink this October. With an extensive reach to thousands of households, your local Valpak franchise is uniquely positioned to raise awareness in communities and funds in support of the fight to end breast cancer. We’ve been blown away from the support of local businesses that have joined us in our fight against breast cancer. From Halo Home Services in Los Angeles to John Killey Insurance in Eau Claire, Wisconsin, businesses that advertise with Valpak are joining the growing list of local allies to inspire change and make an impact. A portion of each sale into our special-edition envelope will be donated to Komen for continued breast cancer research, education, screening and treatment. You can learn more at valpak.com/komen or by contacting your local Valpak representative. In 2018, Valpak Direct Marketing Systems, Inc. will donate to Susan G. Komen® $50,000.00 regardless of sales. Susan G. Komen®’s mission is to save lives by meeting the most critical needs in our communities and investing in breakthrough research to prevent and cure breast cancer. For more information, please contact Susan G. Komen® at 5005 LBJ Freeway, Suite 526, Dallas, Texas 75244 or visit www.komen.org.